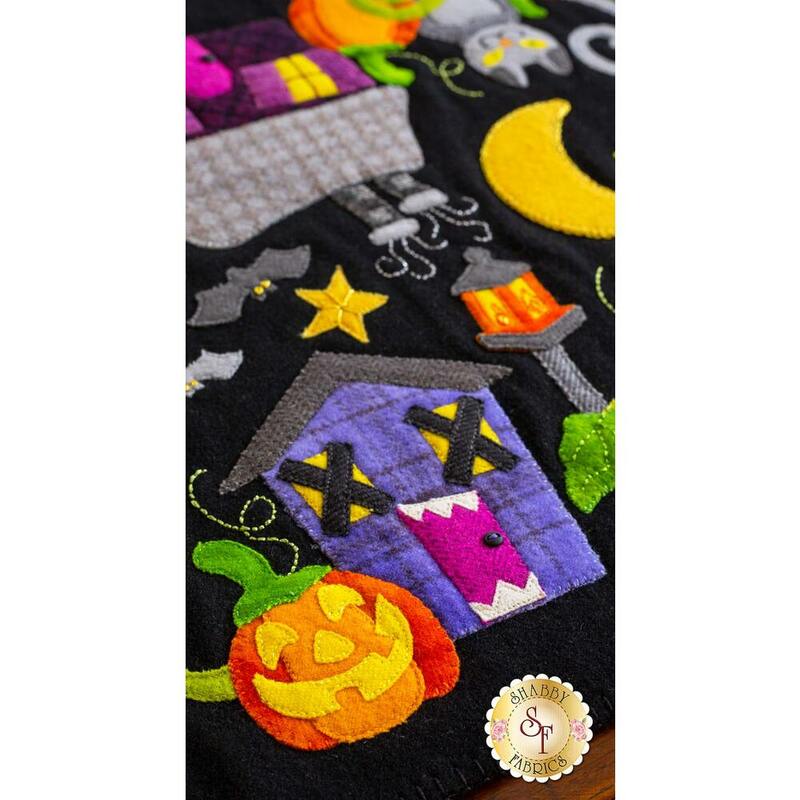 The moon and stars are bright in the sky as the trick-or-treaters set out on a quest for candy, but little do they know what spooky sights they will encounter! 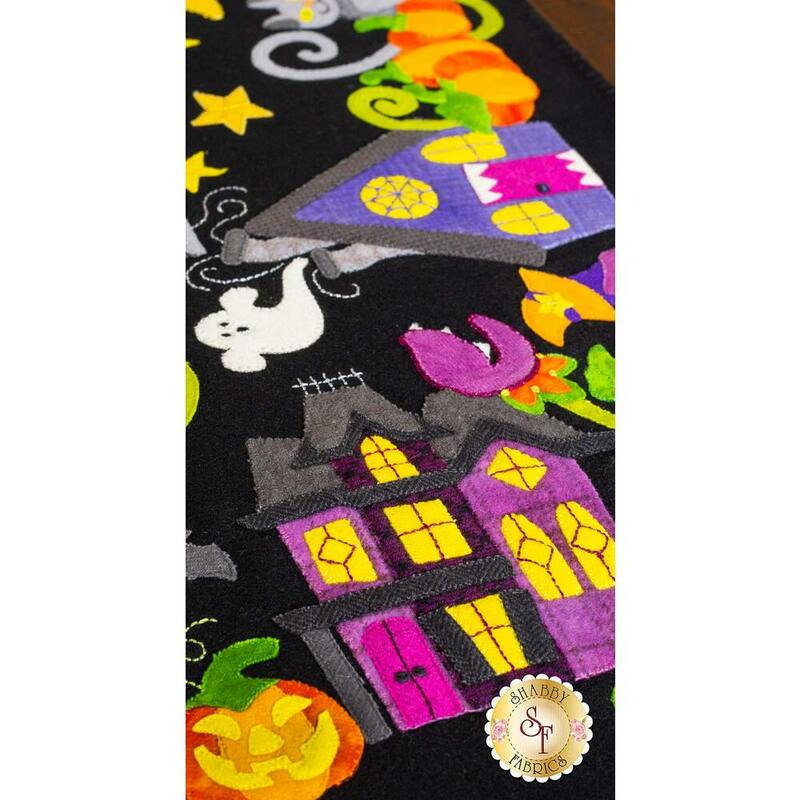 From carniverous plants to monster houses, this table runner celebrates the mysterious wonder of Halloween! 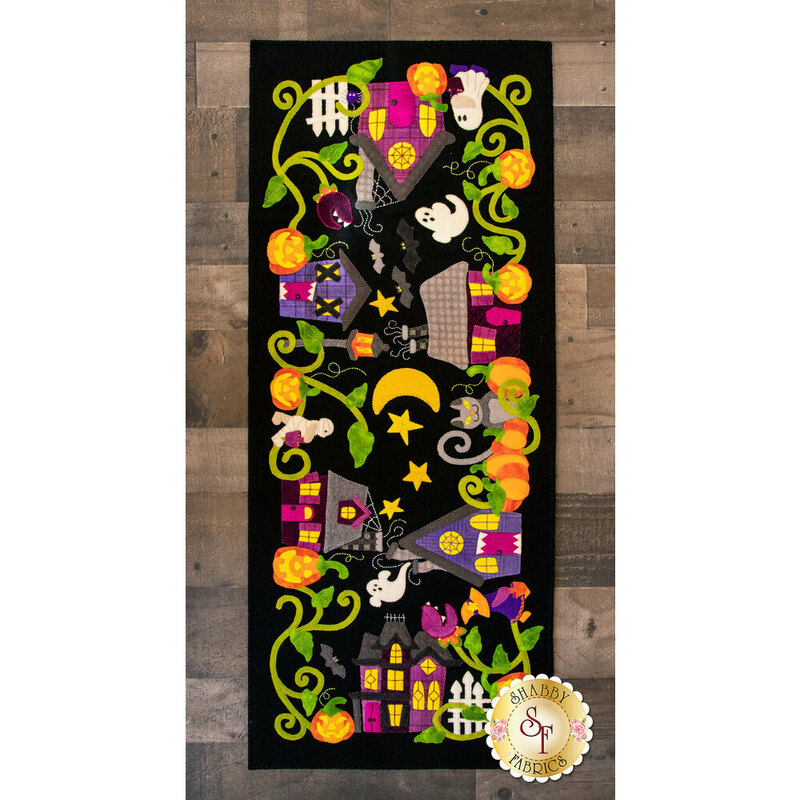 This beautifully detailed and textured wool project will be the centerpiece of your Halloween decor that everyone will look forward to seeing year after year! 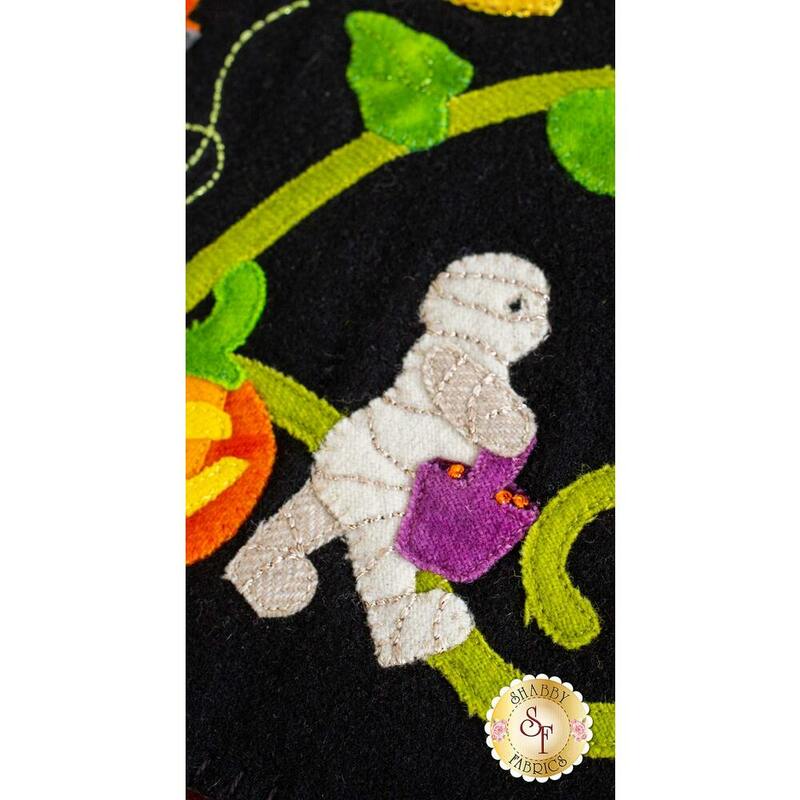 Kit includes pattern and full‑size diagram, with 100% wool for background, appliqué, and backing. 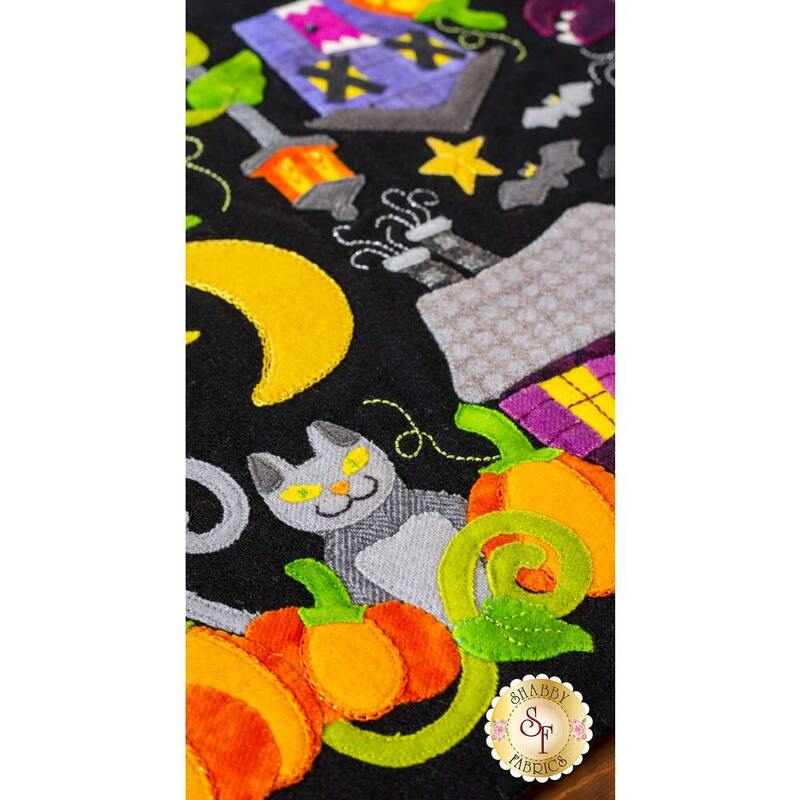 Finishes at approximately 18" × 43". 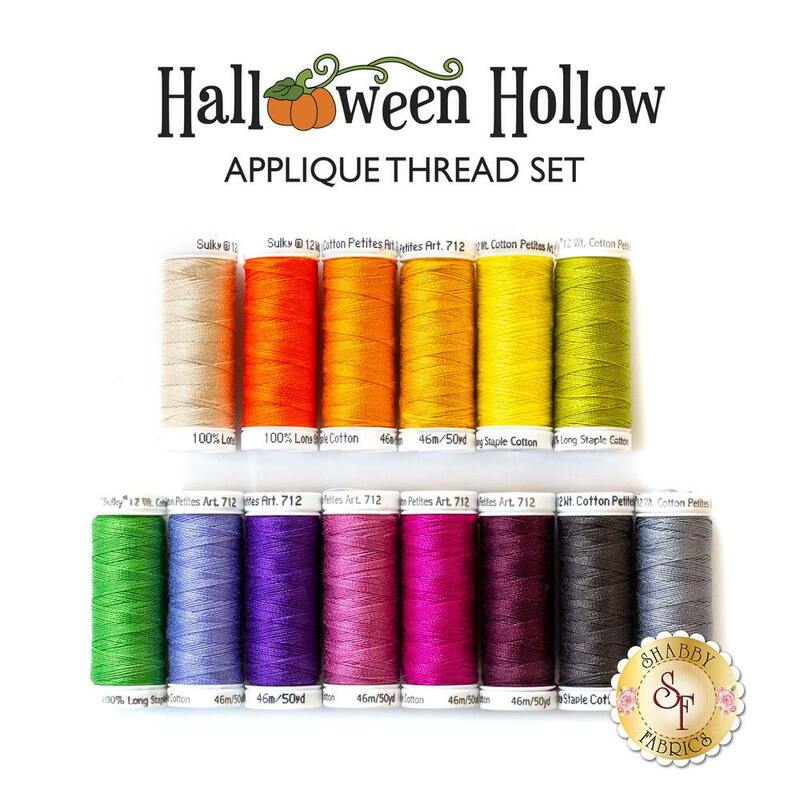 14pc Halloween Hollow Appliqué Thread Set - Beautifully coordinated colors for machine or hand stitching down your wool appliqué. 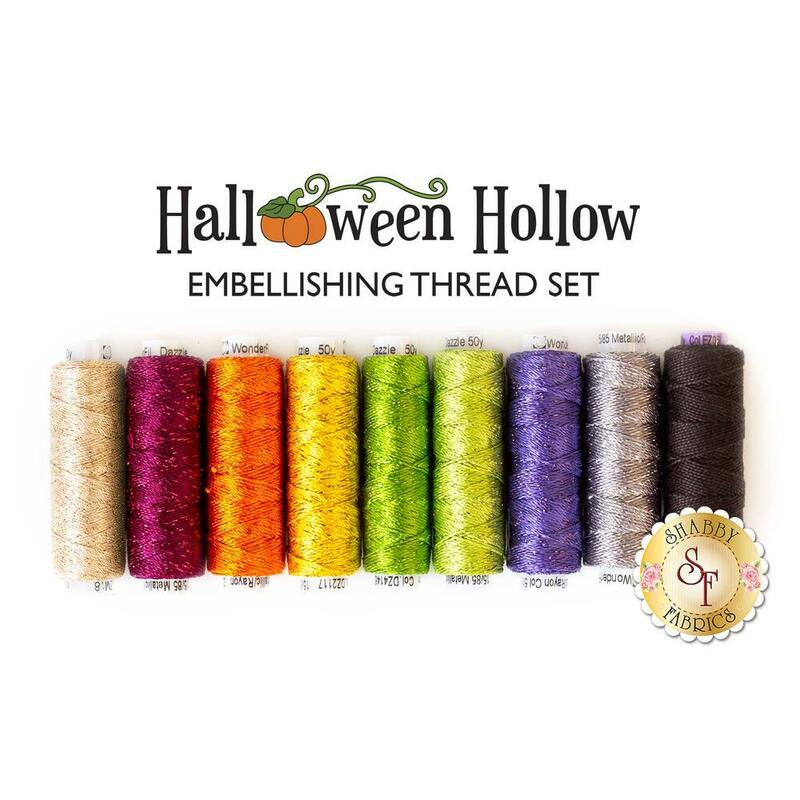 9pc Halloween Hollow Embellishing Thread Set - Beautifully coordinated colors for completing the decorative hand embroidery. 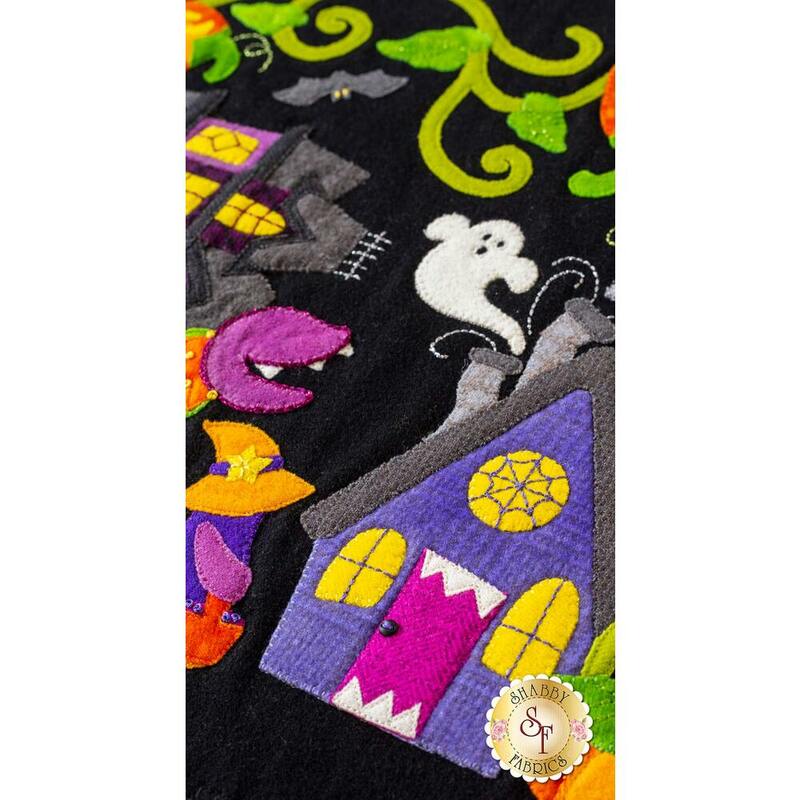 Shape-Flex All Purpose Woven Fusible Interfacing - Highly Recommended for stabilizing wool, reducing stretching & warping for both machine and hand embroidery. 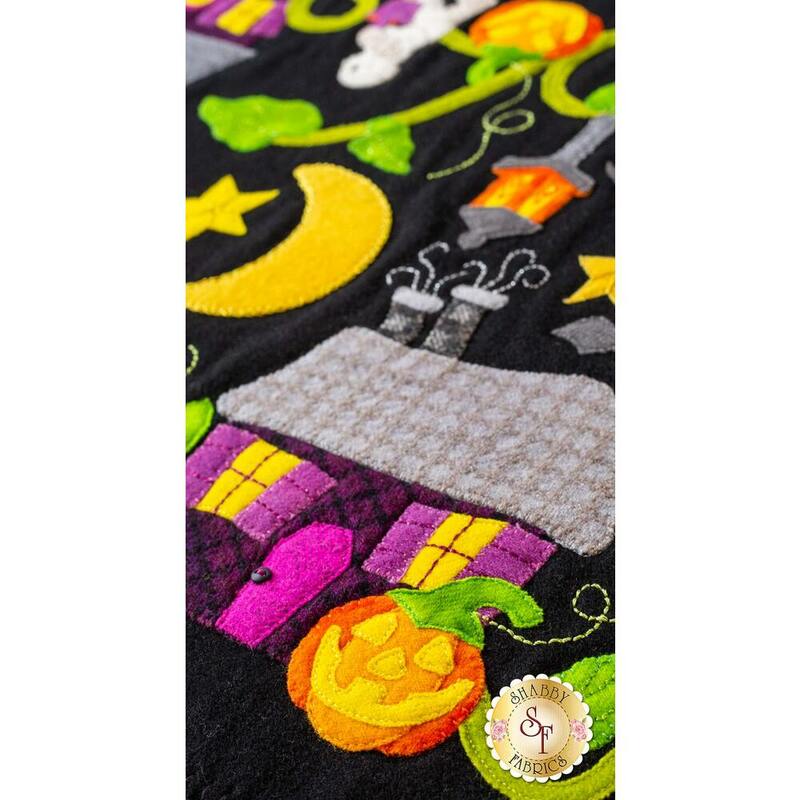 1¼ yards is required.